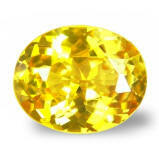 Certified unheated, Ceylon yellow sapphires for Jyotish, Vedic astrology, Ayurveda, healing and good fortune. 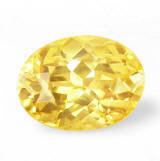 Yellow sapphire is the astrological, Jyotish gem used in Vedic astrology to propitiate Jupiter, which is the planet of happiness, prosperity, luck and fortune. Jupiter is the significator of justice, education, religion, wealth, children, government and the grace of God. It promotes general well-being and spiritual knowledge, as it signifies highest order thinking - knowledge as organizing power. Wearing a faultless, unheated yellow sapphire of at least 1.5 carats is said to bring money and wealth as well as good marriage and childbirth in the case of a married woman. 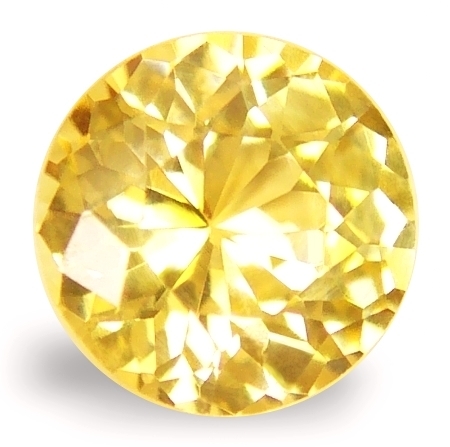 Very lovely, vivid yellow lemon color, perfectly cut, unheated, Ceylon yellow sapphire. A very beautiful, top color unheated, Ceylon yellow sapphire, mined in the Kuruvita area, cut & polished in Ratnapura by our talented gem cutter Kumar. This top color is rare, as unheated yellow sapphire are 90% a pastel, light yellow color or "sunshine yellow" (buttery yellow). 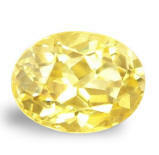 The other 10 % are somewhat more intense in color and will dictate the climbing of of prices per carat. This one is a top colored one, cut to perfection, appearing larger that its carat weight, and destined to a young person or somebody that looks for a mild Jupiter boost. 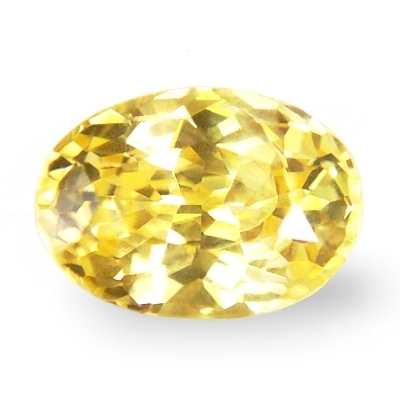 Gorgeous, perfectly cut with flawless clarity, unheated, Ceylon yellow sapphire. At this point, we believe that size is irrelevant for an auspicious, Jyotish gemstone. This little baby was mined in Marapana, cut and polished in Ratnapura, Sri Lanka. A 6mm round cut sapphire usually equals to a 1.2-1.4 cts. stone. This one has been cut to perfection, color is great for unheated material, and the stone is blessed with fine scintillation and magical fire. Simply beautiful and auspicious. Marvelous, super neon yellow lemon color, well cut and clean, unheated, Ceylon yellow sapphire. Finest color. What a color! Finest, electric & vivid, lemon yellow. This sapphires was mined in the Balangoda area, cut & polished in Ratnapura, Sri Lanka. 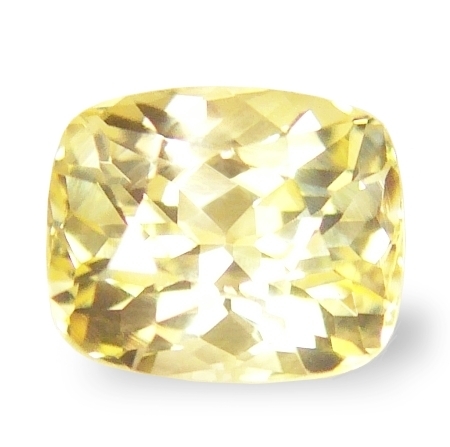 This intensity of color is very rare, as usually unheated yellow sapphires have a soft, pastel yellow hue. It is also well cut, with great face (spread) and eye flawless clarity. Will mount exquisite in anything you desire of. 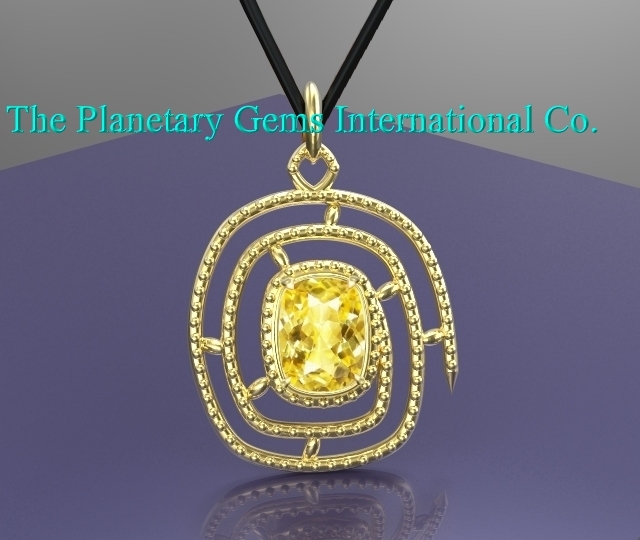 Spiraling, 14KY gold, Jyotish, Jupiter astrological pendant with brilliant, unheated, Ceylon yellow sapphire. Utterly unique, 14K yellow gold, astrological Jupiter pendant featuring a sweet & super sparkling, unheated, Ceylon yellow sapphire, mined in Nivitigala, cut & polished in Ratnapura, Sri Lanka. Great cut and face, looking more like a 1.2-1.4 carats sapphire, excellent scintillation and luster. The pendant is simply spell-binding and one-of-a-kind. New design. 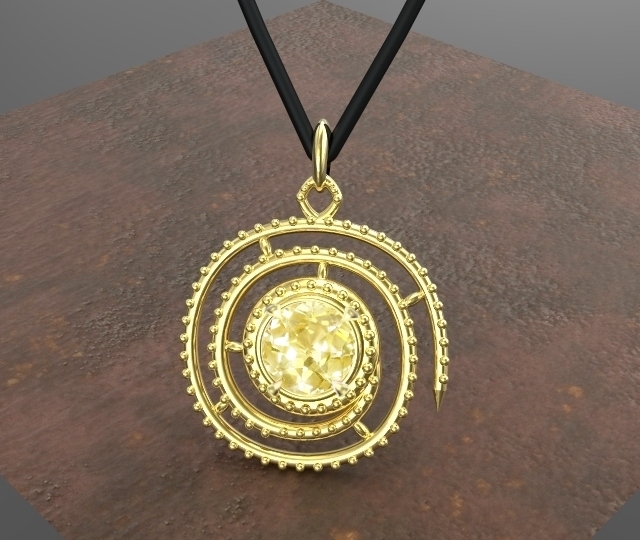 Spiraling, 14KY gold, Jyotish, Jupiter - Guru astrological pendant with fine color, unheated, Ceylon yellow sapphire. We love the spiral design, simply magical. 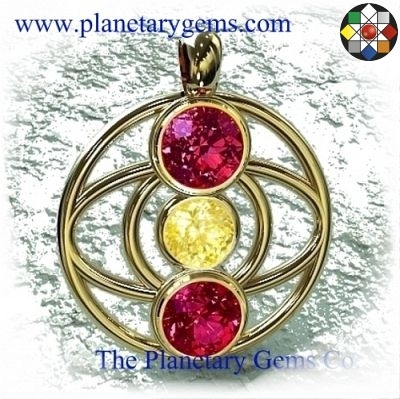 14K yellow gold, astrological Jupiter-Guru pendant featuring a very beautiful, unheated, Ceylon yellow sapphire, mined in Marapana, cut and polished in Ratnapura, Sri Lanka. Beautiful stone with great face, fine lemon yellow color, set in our copyrighted, designer spiral pendant. For that special person. Amiable, perfect cut with sweet color, lively, unheated Ceylon yellow sapphire. What an amiable, unheated, Ceylon yellow sapphire, this one was mined in the gem fields of Balangoda, cut & polished in Ratnapura, Sri Lanka. 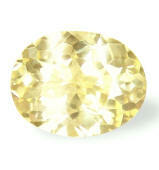 It is priced lower compared to the others in its carat weight, just to see if people can spot it. Fine unheated color, clean & well cut, rare material, worth more. A very well shaped, unheated, Madagascan yellow sapphire that was mined in an unknown mining area in Madagascar, but cut & polished in Ratnapura, Sri Lanka. Sri Lankan gemstone traders have been also imported sapphires and other gemstones from all the worldwide location, including Burma, Tanzania, Madagascar and Mozambique. 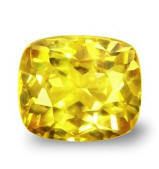 This one is a classic yellow sapphire from Madagascar recognizable by the evident, vivid greenish undertone. Well shaped and clean, and offered at a great price. 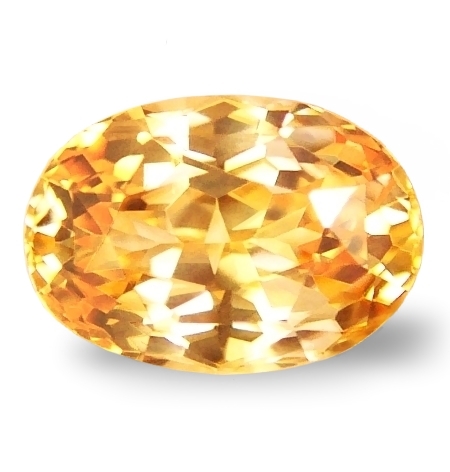 Sensuous, perfectly cut, rare orange-yellow color, unheated, Ceylon sapphire. Real nice unheated sapphire, this was mined in Elahera area, cut and polished in Beruwela, Sri Lanka. The shape is nice, clarity is great and the color is better than average, a real nice orangish-yellow, golden color. Priced to sell, this will mount well and will accompany you amiably during the day. Beautiful color, well cut for large appearance, unheated, Ceylon yellow sapphire. Imposing. We love trillions, and we always ask our Ratnapura cutter to cut them for us. Here is a nice one with good unheated lemon yellow color. It was mined in the Nivitigala area. 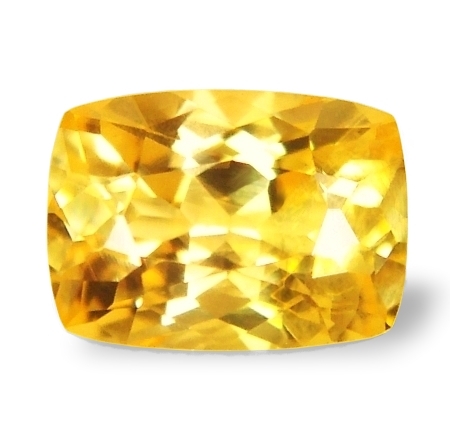 Real nice face, appearing larger than its carat weight, well cut with exciting brilliance, this is a very inexpensive unheated yellow sapphire that will make either a beautiful ring or pendant. Pure & pristine, very well cut, unheated, Ceylon yellow sapphire. Very lovely one. A most pure, and definitely sweet, unheated, Ceylon yellow sapphire, mined in Elahera, cut and polished in Ratnapura, Sri Lanka. Availability of unheated sapphires is very limited nowadays and escalating in price by the season. The unheated sapphires shown in this web site represent the best value in terms of quality, that is clean clarity, fine cutting, tangible beauty and continuous uplifting energy, and at the lowest prices. I love this one. Soo brilliant. It was cut in Ratnapura by our talented gem artist Kumar few years back. This gem has it all. The diamond-like luster is simply irresistible, and it is flawless. Overall, a beautiful unheated yellow at a great prices that will make a wonderful jewel in any setting. 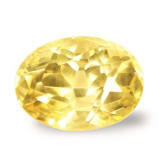 Scintillating, definitely auspicious, unheated, Ceylon yellow sapphire. An effulgent, unheated, Ceylon yellow sapphire mined in the gem fields of Pelmadulla, Sri Lanka. Yellow sapphires in Vedic astrology are worn to propitiate prosperity & abundance in the material world and spiritual knowledge. Flawless & auspicious gem with a light "sunshine" yellow hue. Very brilliant & definitely pleasing for somebody on a budget. 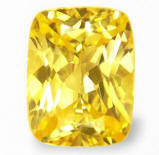 Delightful, well cut with excellent color, unheated, Ceylon yellow sapphire. 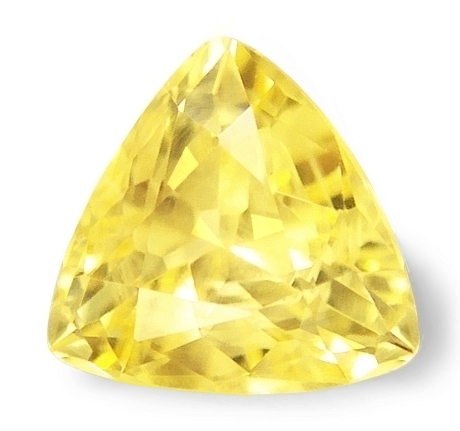 A superbly colored, unheated Ceylon yellow sapphire hailing from the gem fields of Nivitigala, Sri Lanka. Eye candy sapphire, this gem is blessed with perfect golden color, overall eye clean clarity, fine cut and uplifting energy. And at this low price, it is ideal if you are on a budget and still wanting a beautiful & richly colored, completely unheated yellow to propitiate Jupiter. Enchanting, well cut & super clean, unheated Ceylon yellow sapphire. A most perfect, unheated, Ceylon yellow sapphire, that is haling from the Kuruvita area, Sri Lanka. If you want total perfection in clarity and cut, this is the right gem for you. Flawless clarity, perfectly cut in an antique cushion with extra facets in the pavilion for exciting brilliance, and last but not last, offered at wholesale price. 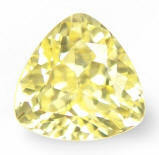 Simply lovely, well cut with good luster, unheated, Ceylon yellow sapphire. With nil availability of clean & well cut unheated sapphires, with prices out of reach for the common person, we are just very proud to offer these well cut, clean & affordable beauties. How do we do it? With dedication, experience & love. Throughout after year, our buyer have established solid & familiar connections in the mining region of Sri Lanka. Thus, we are able to offer unheated sapphire of superior quality at the most competitive prices for the quality offered. Be a savvy buyer. Very charming, well cut with good color, unheated, Ceylon yellow sapphire. Great price. People often ask why our sapphire prices are so low. There would be few points to mention, but the most important is that we travel & buy at origin, in the mining areas of the fabled island-nation of Sri Lanka. 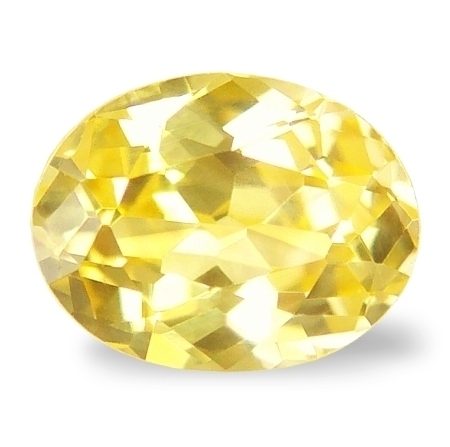 Here is a most beautiful, mid lemon yellow colored, no heat, Ceylon sapphire hailing from the Marapana gem mining area, that is also priced very well. Delightfully warm and peaceful, unheated, Ceylon orange sapphire. Rare color. An ethereal and pure, unheated, Ceylon yellowish-orange sapphire, mined in the Marapana area, cut and polished in Ratnapura, Sri Lanka. Beautiful sapphire with an unique color, a mix of yellow and orange, reminding of a summer's late afternoon near sunset. Very sparkling and sensuous. And offered at a great price.